The Larimer County VOAD is a member of both the Colorado Voluntary Organizations Active in Disaster (COVOAD) and the National Voluntary Organizations Active in Disaster (NVOAD). 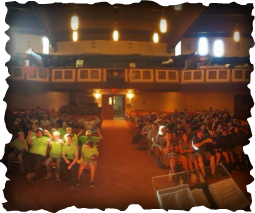 ​ About Us: What Organizations Should Join Larimer VOAD? Local community foundations, charitable non-profits and national disaster response organizations like the American Red Cross and United Way are key partners in the Larimer VOAD. 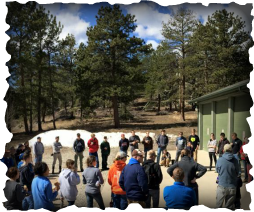 The "heart" of our Larimer VOAD... churches, national VOAD organizations and other faith-based organizations have been some of our most powerful partners in disaster response and recovery. The faith-based communities provide tremendous resources, spiritual care and volunteer management. Our faith-based VOAD members are able to leverage partnerships through national affiliations. Local, state, and federal partners are critical partners to the Larimer VOAD. 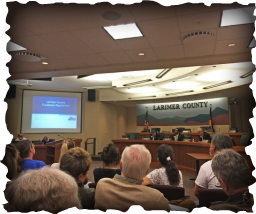 We work closely with Larimer County and are included in the new Emergency Response Plan and are considered a support function of the Larimer County Emergency Operations Center. The LarimerVOAD (Larimer County Voluntary Organizations Active in Disaster) is a group of local organizations and service providers’ active in disaster relief. We foster, through cooperation, more effective emergency services to the people of Larimer County and surrounding jurisdictions affected by disasters. We are dedicated to obtaining, maintaining and distributing support services by establishing network of communications, and by prompting education of our activities to increase awareness, preparedness and response. VOAD's exist to foster better service by its members to communities struck by disaster. This is done through preparedness activities that include planning among VOAD members and providing education to the general public, and by responding to and helping communities recover from disaster. VOADs are not service delivery organizations. Instead, they uphold the privilege of members to independently provide relief and recovery services while supporting their efforts to do so by providing a forum where voluntary organizations active in disaster can practice the four C’s. By this we mean that we need each other; we recognize no single organization has all the answers for all the challenges that arise during disasters. We understand that our common goals for a community can be best achieved by working or acting together with a common purpose. Operationally, “cooperation” recognizes the value of working together on at least one specific delivery of service or event, distinct from the more comprehensive “coordination” principle listed below. We treat fellow members as partners and foster a climate of openness to promote the regular sharing of information about and between our member organizations—their capacities, accomplishments, limitations and commitments. Members must develop and maintain effective channels for sharing information, listen carefully to each other, and deal openly with concerns. Member organizations commit to working together, in a non-competitive manner, toward the goal of effective service delivery throughout the disaster cycle. Through careful planning and preparation, National VOAD member organizations form tactical partnerships to work in a coordinated, predictive fashion to more effectively utilize resources to accomplish a set of tasks. Member organizations establish shared goals and actively work together to achieve specific goals and undertake specific projects throughout the disaster cycle. We form strategic partnerships throughout the disaster cycle.